Home / Banking / RBI Sets Limits for Ways and Means Advances at Rs 75000 crore. RBI Sets Limits for Ways and Means Advances at Rs 75000 crore. 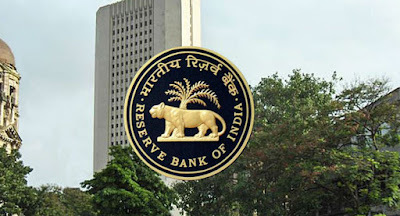 The Reserve Bank of India (RBI) in consultation with the Government of India has set the limits for "Ways and Means Advances (WMA)" for the first half of the financial year 2019-20 (April 2019 to September 2019) at Rs 75000 crore. Ways and Means Advances is the temporary loan facility provided by the RBI to the Centre and State Governments. The WMA scheme was introduced in 1997 to meet any temporary mismatches in the receipts and payments of the Government. The WMA needs to be vacated after 90 days. The interest rate for WMA is currently charged at the repo rate. The limits for WMA are decided by the RBI and in consultation with the Government of India. Further, the RBI provides an overdraft facility when the WMA limit is breached. The overdraft is not allowed beyond 10 consecutive working days. The interest rate on overdrafts would be 2 per cent more than the repo rate. For the State Governments, there are two types of WMA - Special and Normal WMA. Special WMA is provided against the collateral of the government securities held by the State Government. After the exhaustion of the special WMA limit, the State Government are provided with a normal WMA which is based on a three-year average of actual revenue and capital expenditure of the state.